Discover the unique beauty of South India! Explore Mudumalai and Bandipur, go boating in Periyar, look out for the rare Nilgiri Tahr in Eravikulam, see the Elephants of Nagarahole and marvel at the birds of Kumarakom. Round off your adventure with a Houseboat cruise down the scenic backwaters of Kerala! Your South Indian wildlife tour starts on arrival at Bangalore Airport where our representative will receive you and transfer you to your hotel. We advise you to get some good rest today, as tomorrow we start on an exciting journey to the beautiful jungles of south India. We leave Bangalore after breakfast and drive to Nagarhole National Park, which is about 5 hours away. 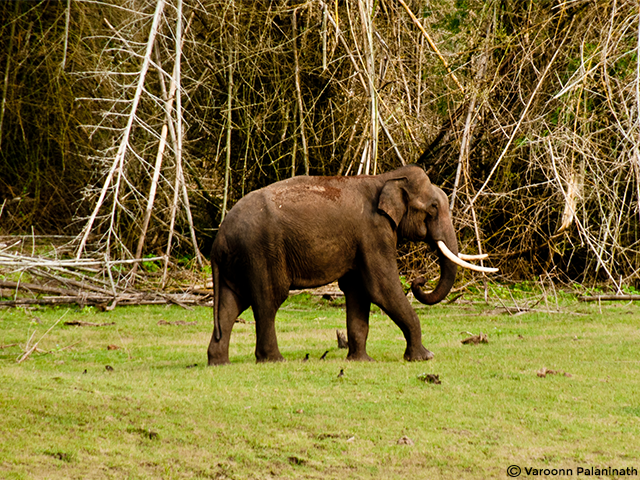 Nagarhole is a part of the Nilgiri Biosphere Reserve and is among India’s best national parks. Its rich and varied wildlife includes the Tiger, Leopard, Indian Bison, Sloth Bear, Gaur, Sambar Deer, Chital, Common Muntjac and almost 250 species of birds. The park is best known for its large population of Elephants. We begin the day with an early morning game drive into the Nagarahole forest. During the game drive, you will get a glimpse of the park’s unspoiled beauty. Mornings are the best time to sight animals and you are likely to see herds of Elephants on the banks of the rive. After the game drive, we return to the lodge for breakfast. Once you finish breakfast, you can take a nature walk and explore the beautiful flora of the park. We return to the lodge for lunch and after lunch, we set out once again to explore Nagarahole. After an early morning game safari and breakfast at Nagarahole, we head out to Bandipur National Park, which is about 3 hours drive from Nagarhole. 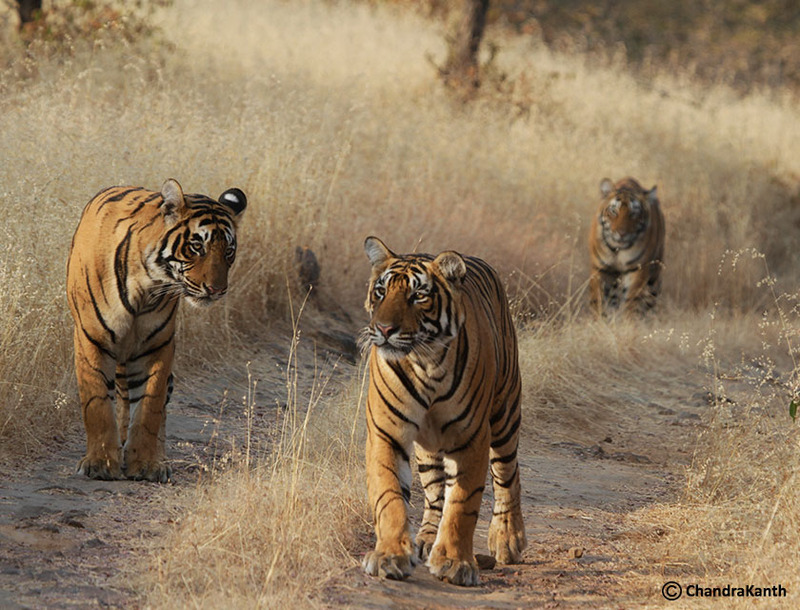 Bandipur National Park is one of the best-known protected areas in India and is also a Project Tiger reserve. The park is famous for its Bengal Tigers, Asian Elephants and for the abundance of sandalwood trees. In addition, it is also home to Leopards, Sloth Bears, Panthers, Chevrotains, Dholes (Wild Dogs), Hyenas, Gaur, Wild Boar, Sambar Deer, Chital, Barking Deer and Mouse Deer. On arrival in Bandipur, we check in to our lodge and have lunch. This is followed by a game drive into Bandipur National Park. Today, we go on a morning game drive into Bandipur and return to the lodge for breakfast. We will then head out to Mudumalai National Park, which is approximately 45 minutes away. Mudumalai is as an important wildlife habitat due to its strategic position between several other protected areas that are a part of the Nilgiri Biosphere Reserve. The animals found here include the Asian Elephant, Bengal Tiger, Leopard, Gaur, Hyena, Sloth Bear, Sambar, Chital, Muntjac, Wild Boar, Nilgiri Tahr, Porcupine and Giant Flying Squirrel. In addition, 8 percent of the bird species in India occur in Mudumalai Wildlife Sanctuary. On arriving at Mudumalai, we go for a nature walk inside the park. A stop will be made to have our packed lunches, after which we go on a game drive. We return to Bandipur for the night. Today is our last day at Bandipur and we go for a game drive in the morning and return to the lodge for breakfast. We then drive for about 8 hours to reach Munnar, stopping on the way for lunch. Munnar is a beautiful town up in the hills, best known for the tea grown here. The tea, which has a delicate flavour of cardamom, can be used to brew the famous Indian 'Chai'! Munnar also offers a splendid view of pristine valleys and mountains, exotic species of flora and fauna, and the aroma of cool, spice-scented air! You can spend the evening relaxing and enjoying the lovely weather and the spectacular view. Today we visit the Eravikulam National Park. We carry a picnic lunch with us. As vehicles are not allowed inside the park, we explore the area on foot. After a whole day at Eravikulam, we return to our hotel in the evening for dinner. After breakfast we embark on a three hour drive to reach the Aranya Niwas Hotel in Periyar. 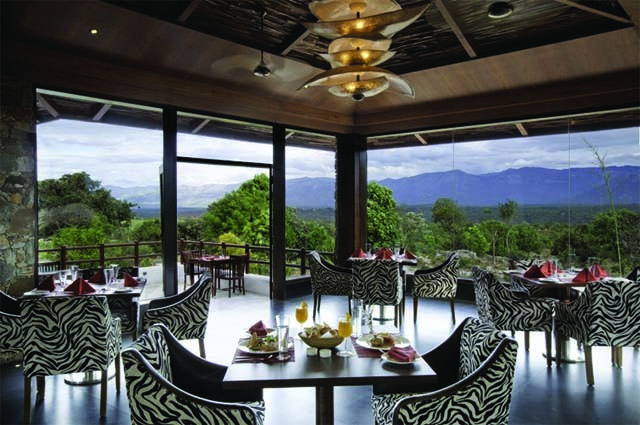 The hotel is located inside the Tiger Reserve in the Cardamom Hills. After a delicious lunch, we visit the spice gardens for which the area is well known. Since the olden times, spices were traded like gold in India and you see why...the cardamom and the pepper grown here has a superb aroma! We return to the hotel at dusk and end the day with dinner. Periyar is one of the Project Tiger Reserves of India. It is one of the most picturesque and beautiful wildlife reserves in the world. In addition to the Tiger, Periyar is also home to the Indian Elephant, Gaur, Sambar (Horse Deer), Barking Deer, Mouse Deer, Dhole (Indian Wild Dog), Fox, Leopard and the elusive Nilgiri Tahr. We begin our day with a ride into Periyar National Park on an elephant safari. It is the best way to see the forest and the animals! We return to the lodge for breakfast. You get to relax for a while and in the afternoon we head out for a nature walk. As the sun sets and the dusk sets in, its time for us to return to the hotel, have dinner and call it a day. Start the day with a boat ride on the Periyar Lake. It is the best time to spot birds and do keep an eye out for the Flamingos! After the boat ride, we return to the lodge for breakfast. Walking is the best way to explore the Park and you get to see some of the smaller animals, insects and monkeys when you are on foot...we do precisely this and walk in the forest till lunch time. You have the rest of the day to yourself, you can either relax or spend the day exploring the serene surroundings. After an early morning boat ride and breakfast in Periyar, we drive to Kumarakom Bird Sanctuary, which is about 4 ½ hours by road. Situated in the backwaters of Kerala, Kumarakom Bird sanctuary is an ornithologist's paradise. The main attractions here are local birds like the Cuckoo, Owl, Cormorant, Moorhen, Darter, Brahminy Kite and Duck. There are many migratory birds like the Siberian Crane that can be spotted here. Parrot, Teal, Lark, Flycatcher, etc. are also often sighted here. Some of Kumarakom's migratory birds come from the Himalayas, and a few from as far away as Siberia. On reaching Kumarakom, we check-in to our resort and have lunch. After lunch, we take a five minute boat ride and walk a short distance to go birdwatching in Kumarakom Bird Sanctuary. Birdwatchers are in for a treat here!! In the afternoons, you are likely to see large numbers of Herons and Egrets fly in to roost here. We stay in the Sanctuary till dusk, and we then return to the lodge for dinner. We cruise in the backwaters of Kerala on a houseboat, locally known as ‘Kettuvalloms’. 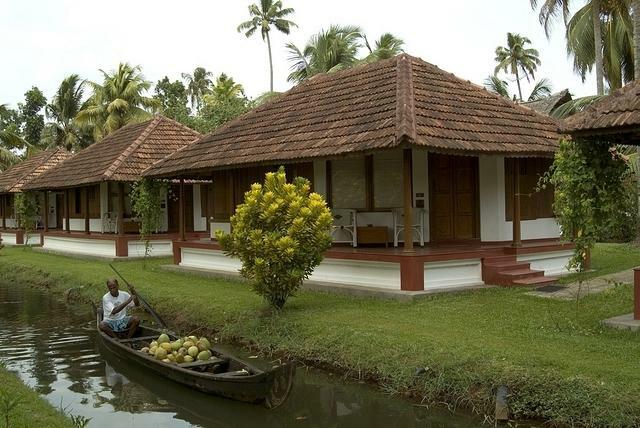 Located in the southwestern part of India, Kerala is one of the most beautiful parts of India. It is popularly known as ‘God’s Own Country’ because of its exquisite beauty and greenery. The houseboat takes us to Alappuzha (also called Allepey). Savor the beauty of the landscape as we drift along the narrow canals and paddy fields of the scenic backwaters. This is the last day of your South India wildlife holiday. You can either explore the town or stay in at the hotel to relax till it is time to go to the airport to board your flight.